Hunsdon Skip Hire provide local skip waste containers for domestic or trade hire, with all sized Skips or large Roll-on-off garbage bins delivered and collected throughout Hertfordshire, London, Middlesex & surrounding Essex or Bedfordshire areas. 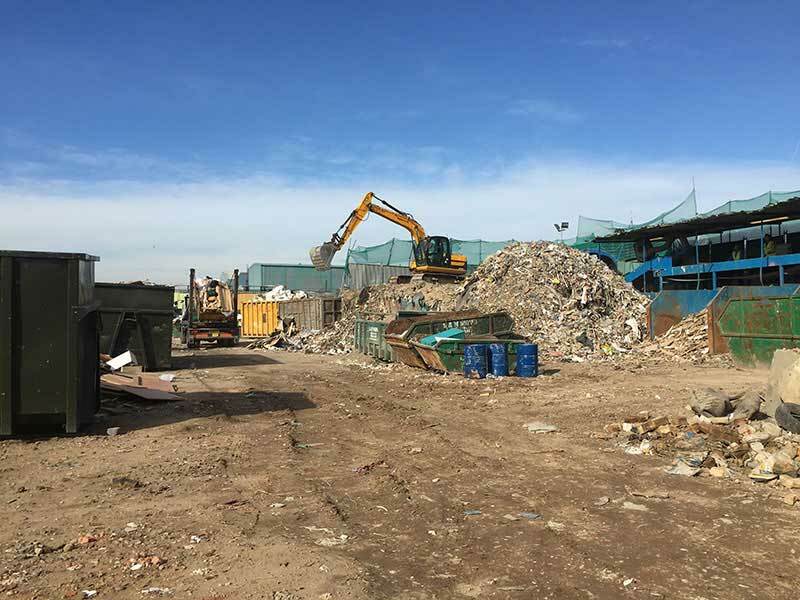 Recycling & Waste management is based from our centrally located Recycle Transfer Station in Herts, but we have several local Skip distribution sites dedicated to local daily coverage. We provide cheapest local price quotes for Skip Hire, as well as a reliable and fast service. Don't book online with Skip Hire Agencies advertising 'lowest prices' on Google, or unlicenced waste carriers, you can deal with us direct and save money! Your local & regional waste recycle transfer station is managed by us, accepting commercial trash as well as household rubbish. 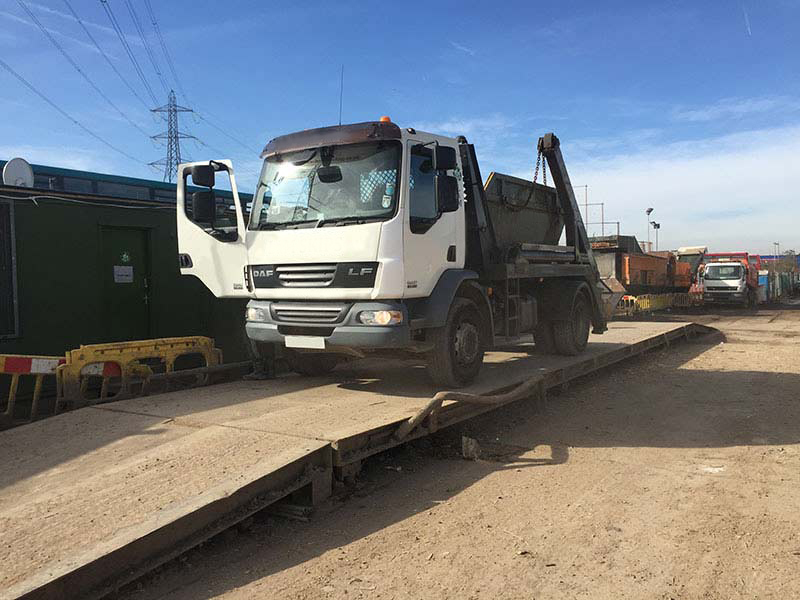 Trade & Commercial Account disposals are accepted, with our drive-in-out Weigh Bridge at the gate, which offers cheapest local waste disposal costs. We recycle in the most cost effective ways in order to offer our very competitive Skip Hire or commercial waste disposal prices. Recycling methods save cost on skiphire as well as provide the best rubbish disposal solution for our environment. 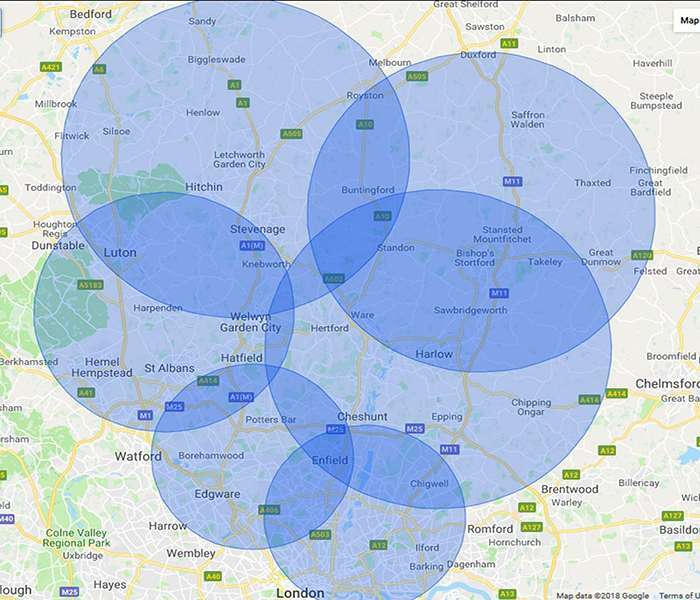 We cover a large area and likely have a local Skip distribution station near you. 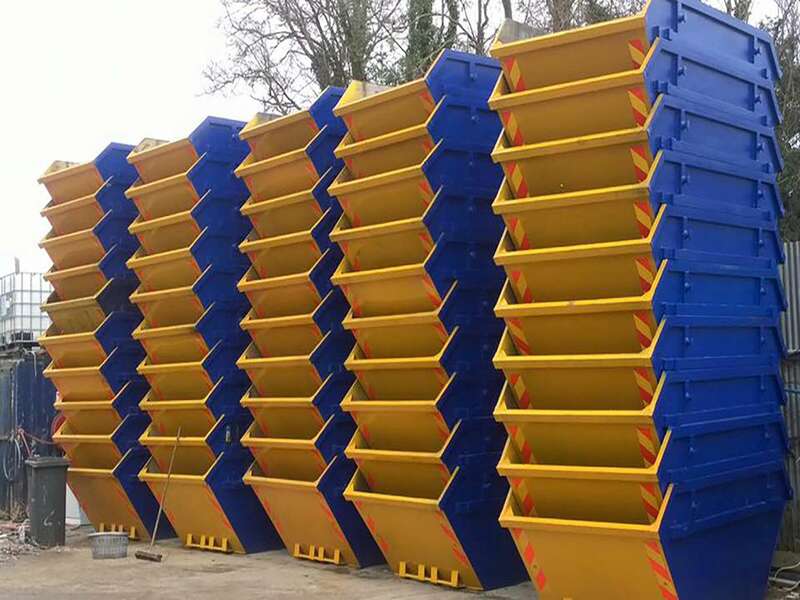 We have several locations for Skip Hire distribution, to provide fast local skips. Some locations we cover daily for Skip hire include; Ware, Hertford, Stanstead Abbotts, Harlow, Hunsdon, Sawbridgeworth, Bishops Stortford, Takeley, Stansted Mountfitchet, Thundridge, Much Hadham, Standon, Puckeridge Buntingford Royston, Broxbourne, Hoddesdon, Nazeing, Enfield, Cheshunt, Wormley, Turnford, Waltham Cross, Waltham Abbey, Cuffley, Goffs Oak, Epping, WGC, Welwyn Garden City, Hatfield, Welwyn, Watton at Stone, St Albans, Harpenden, Hitchin, Knebworth, Stapleford, Stevenage, etc. We also now have our dedicated North London Skips team, covering areas such as Enfield, Edmonton, Tottenham, Chingford, Loughton, Ilford, Woodford, Barking, Walthamstow, Barnet, Finchley, Holloway, Islington, Harringay, Harrow, Wembley, Edgware, Borehamwood, Radlett, Shenley, Potters Bar, Southgate, and many other areas in between! Other local locations for Recycling or Skips, please call. Who is the nearest skip provider, near me? Supporting local business is something we agree with. We have many local bases. Other local skip providers such as; GBN, Courtlands, Froom, Advanced Demolition, David Brown, Dunmows, APS, ADL, Uskip, or others, may have a base near you. However, your waste is recycled so will be transported away, no matter if it is us or a rival. Therefore, you should not limit your choice based on distance to your home. Where can I get the cheapest quote for skip hire? Why are skip hire prices not shown? Are skip hire prices per week? Is there a price list for Skip Hire near me? Who is cheapest for skip hire? What is the price for skip hire? How much does a cheap skip cost? Skip Hire price includes permit? The most common questions are about Skip prices but there are so many variables. To help, small skips will be 150 to 180, average sized often around 200 to 280 while large cost 300 to 350 and then you get extra large too at 400 or above. Road permits do cost and these can be 20 to 40 depending on Local Authority charges. Cheapest isn't always best so we aim to provide good service with lowest costs. With all sizes available for all areas we will have a Skip to suit your budget. How much does Skip Hire cost? SkipHire2 Prices for Skip Hire in Enfield? Local Skip Hire near me? SkipHire4 How much for Skip Hire in Hertford? Cheapest prices for Skips? SkipHire6 What are best prices for Skip Hire in Harlow? Cheap Skip quotes or skips quote? SkipHire7 How much does a Skip cost? SkipHire8 What's the cheapest Skip Hire in Epping? Local skip hire? 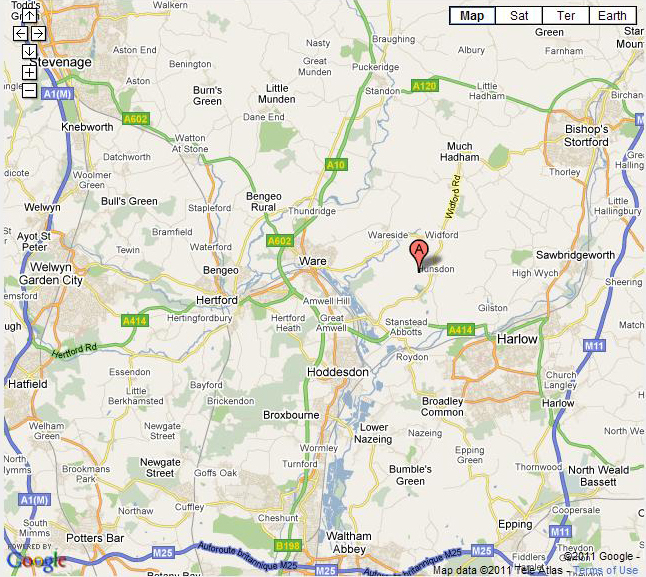 SkipHire10 How much is Skip Hire in Hoddesdon? Cheapest skips size? SkipHire12 What price is Skip Hire in Stevenage? Cheapest skip quote near me? SkipHire14 How much for Skip Hire in Bishops Stortford? SkipHire16 What price is Skip Hire in London? What skip permit and how much do skip permits cost? 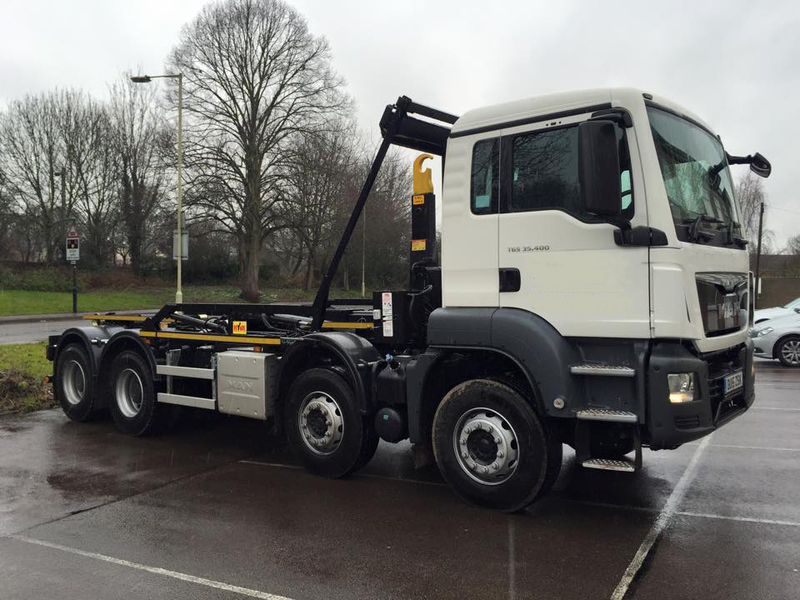 SkipHire20 Lowest prices for Skip Hire in Welwyn Garden City? SkipHire25 Cheapest prices for Skip Hire in Hatfield? SkipHire30 How much does Skip Hire in St Albans cost? SkipHire40 Who has cheapest price Skip Hire cost in Herts? Quote on how much it costs for Skip Hire?